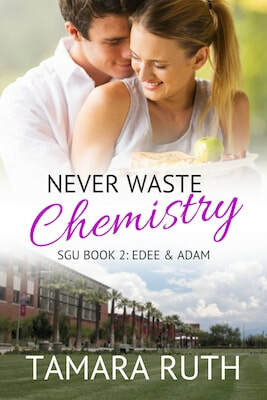 ​Never Waste Chemistry is the second of five books in the Smith & Guy University series. You're going to fall in love right along with Edee, Harper, and Watzi. Your homework for today: get your copy and read up. Pop quiz tomorrow. Maybe. 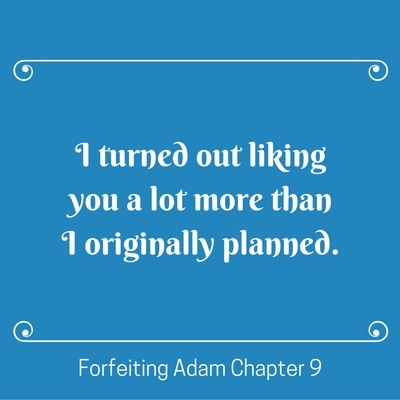 *Note: originally titled Forfeiting Adam. More than a love story I think this is a story of courage, of not giving up on life. I am glad, that I had received this book as an ARC. I am not sure if I would have picked it up otherwise, although it is definitely worth it. A good book, that one should probably read more than only once. This is a really good book and it kept me engrossed from start to finish. I loved the chemistry between the characters and the way they interacted with each other. This book has a great story and is a must read, I recommend this book to anyone. [A] good story. 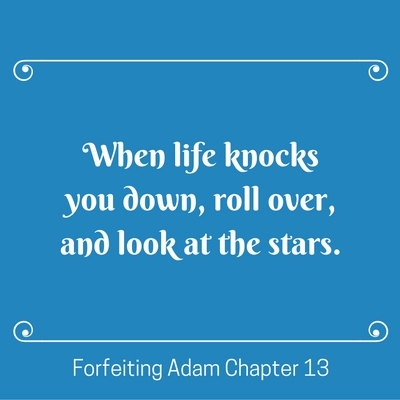 To watch Edee go through what she did and come out strong with the help of her friends and especially Adam. Adam and I were sitting in a booth at Baker’s Dozen, the local campus coffee shop and bakery where my roommate, Harper, worked. She had told me a half priced drink promotion called Midterm Mocha was going on today. 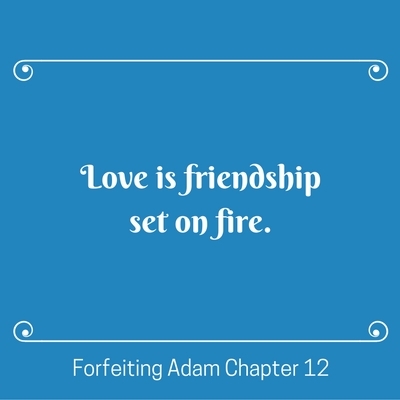 I mentioned the promotion to Adam while attending St. John’s with him. Several people overheard, and the word spread. A group of about twenty from the St. John college group descended on Baker’s Dozen after church. The entire church thing was weird for a non-religious person, but I did like talking and eating afterwards, even if I was not actually a member of the group. 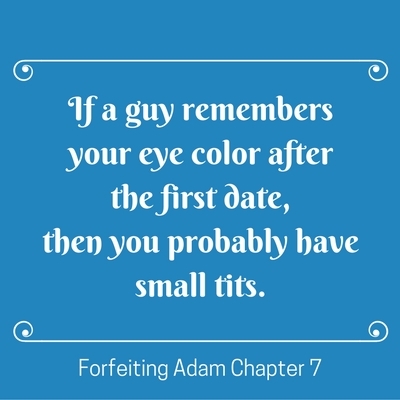 ​Adam failed to choke back a laugh. “Oh, come on, Harper. You know everything that’s going on in my love life, and you won’t even tell me if I’m right about this? Why all the secrecy?” I demanded. My hands were fisted on my hips. I snorted at that because, whether she meant to or not, she was keeping this guy a secret. “You did what?” I exclaimed in surprise. What she said and the fact that she had not told me sooner were shocking. Harper taking that much initiative with a guy was previously unheard of. I walked over and wrapped my arms around Harper. The bag she had been carrying, the one not secured across her back, thumped to the floor. With a cut off sniff, she mumbled, “Don’t make me cry. I don’t have time to fix my makeup. I nodded before repeating my question with the qualifier since she obviously needed it.